Anna Lombardi, with over 20 years experience as a classical dancer, welcomes you to her studio in Uccle (Bruxelles), just a few minutes from Avenue W. Churchill. It's located in a multidisciplinary center bringing together an osteopath, a physiotherapist, a nutritionist, a relaxation therapist and a psychologist. Body in Progress offers you one of the most effective body-sculpting workouts available under the expert guidance of Anna. 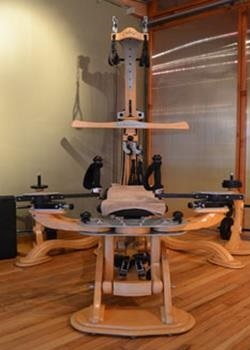 Body in Progress is specialised in the training of the Pilates Method and GYROTONIC®.